There are many good sites that can provide a wealth of information about appreciative inquiry. Below is a listing of those that I have personally found helpful. A basic Appreciative Inquiry web search will also locate numerous resources. In addition to web-sites there is also an Appreciative Inquiry e-list which I have found very helpful, several of the current key leaders in the field are on the list and regularly contribute. http://www.thinbook.com/ Sue Hammonds' Thin Book Publishers site which contains numerous updates on training opportunities and published resources, which can be purchased directly from the site. http://www.appreciative-preacher.com Rev. Ted Edwards appreciative reflections on the Revised Lectionary readings. Ted pays particular attention to the readings and the assumptions underlying appreciative inquiry. http://www.solution-consulting.com/ Lynn Johnson's site, devoted to solution focussed psychotherapy and organizational consulting from an appreciative perspective. Lynn gave me my formal introduction to Appreciative Inquiry during a presentation at an Ericksonian workshop. It has radically changed the way I work, for which I and the people I work with are very grateful. http://www.positivechangecore.org/ The Positive Change Core (PCC), led by Marge Schiller, Jackie Stavros and Gina Hinrichs, is dedicated to the transformation of our school system and the elevating of youth leadership through appreciative inquiry and other strength based methods with students, parents, teachers, business people, and other members of community. If you are engaged in teaching or education development I strongly recommend the PCC and their training and transformation programs. http://www.taosinstitute.net/ A comprehensive listing of numerous articles on AI compiled by Dawn Dole and David Cooperrider. http://www.aradford.co.uk/ An English site that has extensive appreciative inquiry resources including a monthly newsletter. http://www.appreciativeinquiry.com Pancultural Associates site. 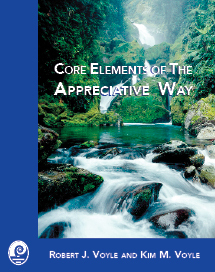 They have some good resources for introducing appreciative inquiry to others. http://www.mellish.com.au/ An Australian site that has numerous pages of basic and helpful information. http://www.gervasebushe.ca/ Gervase R. Bushe's site. Lots of good articles at an academic level on using Appreciative Inquiry in leadership, and organizational development. http://clarityworks.biz Bob New and Kathleen Rich-New's site, where you can obtain their book "Looking for the Good Stuff." http://www.brieftherapy.com Bill O'Hanlon's Solution Focussed therapy site. Many useable handouts and resources. Soultion focussed therapy is a lot like applying appreciative inquiry to individuals rather than groups. 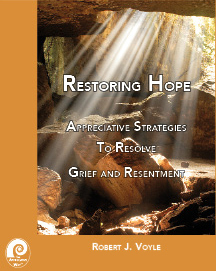 http://www.reteaming.com While not exactly appreciative inquiry it has several articles and information that is in keeping with the appreciative spirit. http://www.ntl.org/ National Training Lab site. A lot of the appreciative inquiry training has been done by NTL associates. 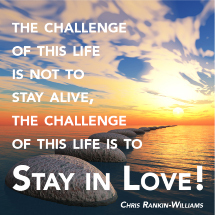 http://www.cditrainers.org/ Congregational Development Institute (CDI) This is church based organization primarily from the Episcopal tradition that makes considerable use of appreciative inquiry. Many of their trainers received training via NTL trainers and they have subsequently provided appreciative inquiry training from a church perspective. 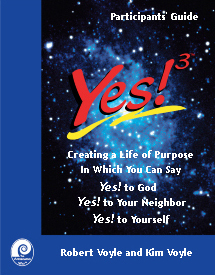 http://www.catholicappreciativeinquiry.com/ Susan Star Paddock's site. Susan has written on the subject of appreciative inquiry in the Catholic church.